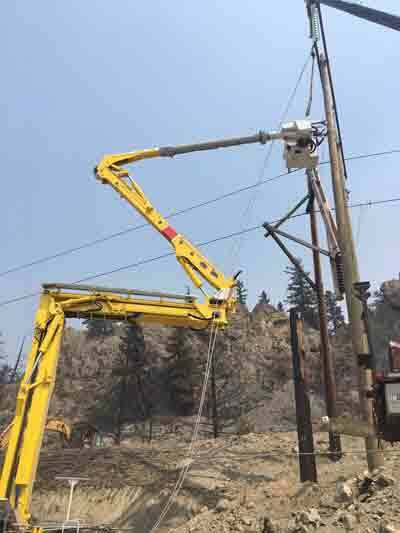 In the Cache Creek area, BC Hydro crews are rebuilding eleven transmission structures that were damaged by the wildfires. Due to the challenging terrain and limited access to the area, specialized cranes and track equipment are being used. 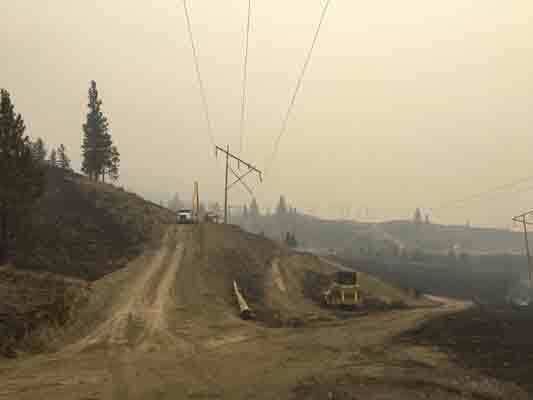 The repairs will strengthen the transmission system and increase contingency as the evacuation order is lifted and Cache Creek residents return home. While these repairs are underway, BC Hydro has re-routed power delivery on to alternate circuits to maintain supply for most customers. 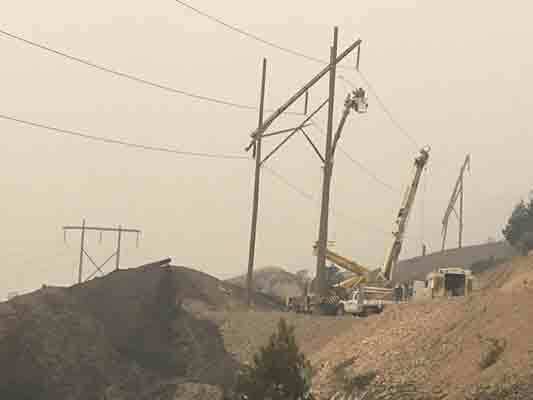 BC Hydro crews spent four days last week working to rebuild 35 transmission structures between Ashcroft and Spences Bridge damaged by the wildfires. Each transmission tower was helicoptered into the area and crews on the ground worked to guide them into place. Latest assessments show wildfires have caused damage to 248 distribution power poles, 114 cross arms, 231 spans of wires and 35 transformers.